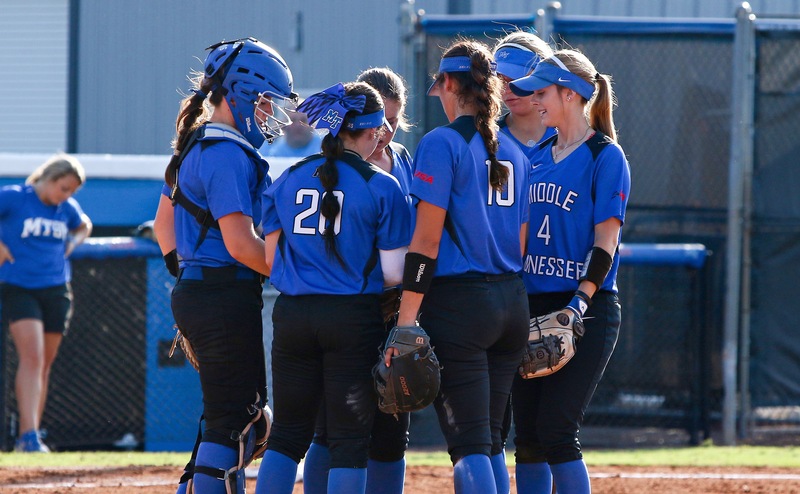 After splitting the first two games of the series, the Blue Raider softball team looked to close out the weekend on Sunday series versus Texas El-Paso on a high note. However, the Miners had other plans as MTSU fell 10-7. 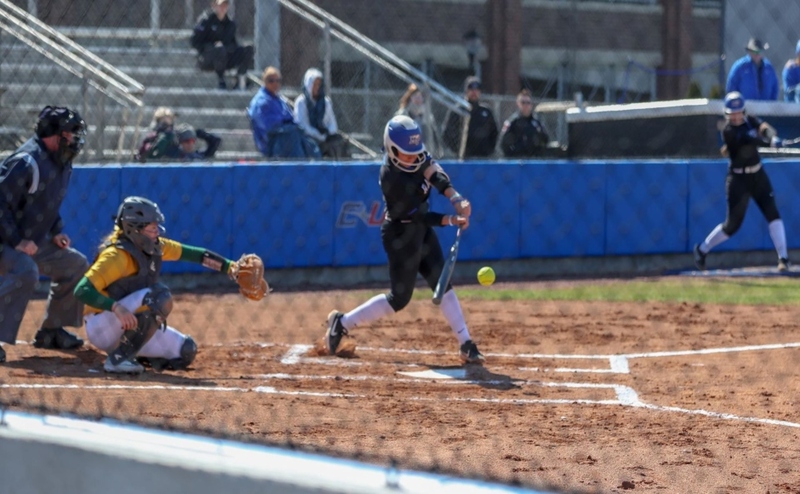 The Blue Raiders came out explosive on offense in the first inning, putting up five runs largely in part to a three run homer from Morgan Harris, her first of the season. The Miners immediately started to make their comeback putting two runs of their own on the board in the bottom of the first. UTEP would tie the game up at five runs apiece in the second inning and then add two more runs in the third to take a 7-5 lead over MT. The Miners bats reached a new level of heat as they continued to explode and took a commanding 10-5 lead in the bottom of the fourth. 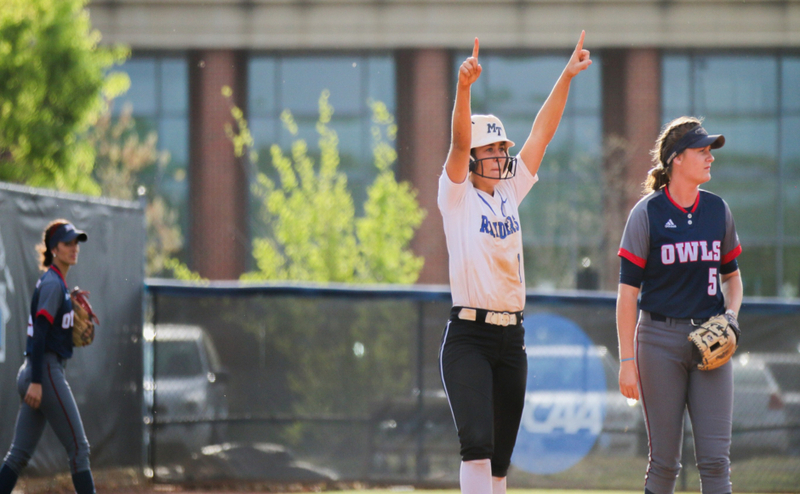 The Blue Raiders eventually cut the lead to three making it a 10-7 game before a double play stopped the MTSU’s comeback effort. Both Cori Jennings and Megan Chocallo saw time in the circle in this one, but Chocallo took the loss which moves her record to a disappointing 0-3 on the season. Lexi Cushing and Kristin Uselton were the leading hitters for MT in this one as Cushing went 3-for-4 while Uselton went 2-for-3 and drove three runs across the plate. 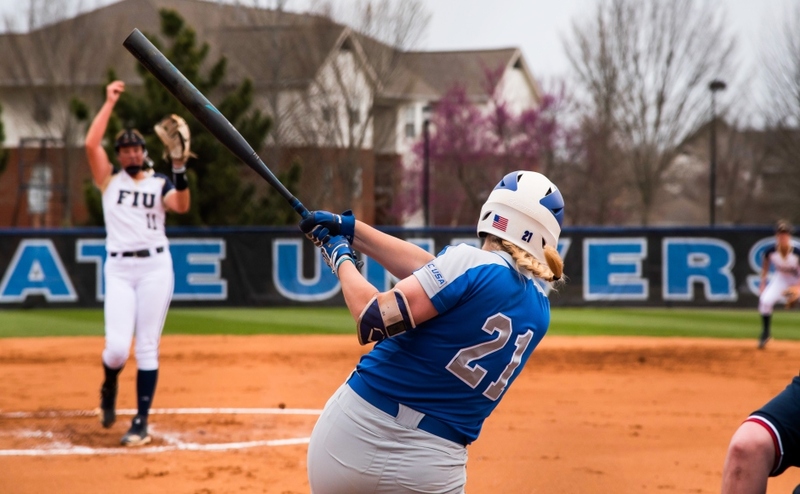 The Blue Raiders return to the volunteer state for mid-week action at TSU on Wednesday, March 22 with first pitch set for 6 pm. 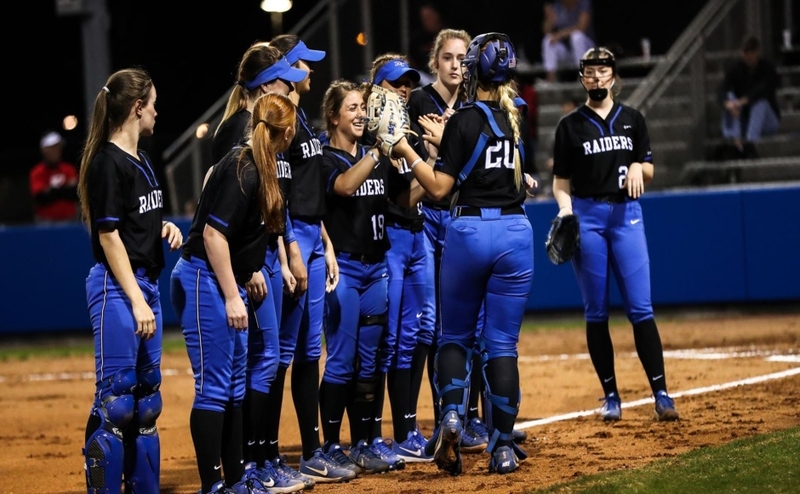 The Blue Raiders will then host FIU in Murfreesboro for a three-game conference series beginning Saturday, March 25 at 1 pm.